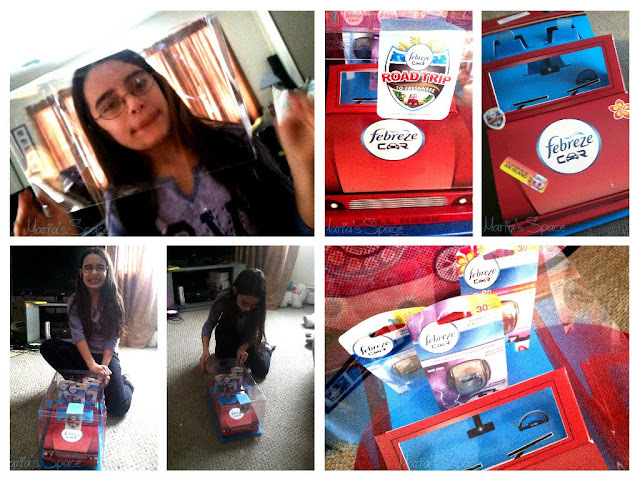 We have been big fans of Febreze since they first came out. We honestly feel they are far superior than any other freshener on the market. My husband and I always have a car vent clip from Febreze in our car. The smell lasts at least 30 days. Even when we replace them, we keep the other and put it in our briefcase and gym bags for a extra bit of freshness until we replace again. We love that Febreze is always reinventing themselves with new scents and products. Take a look in my cabinet and you will always see our tried and true Febreze Fabric Fresheners as well as a Air Effects in the bathroom! Best stuff ever. My husband's gym bag, snacks that the kids leave behind (that I find later! Always Goddess and NEVER Handsome), sneakers, and more add up to a sometimes, smelly car especially when the sun starts beating down on it. Two weeks ago we received one of the coolest packaging we have ever received for a product. Honestly it was so amazing I almost didn't want to open it. So cool right?! Anyway...Goddess and I got right on decorating our little red coup with all the cool stickers. The car vent fresheners are so easy to use too! You simply take it out of the package, put the little clip on the back through your vent and wah-la, instant fresh car. 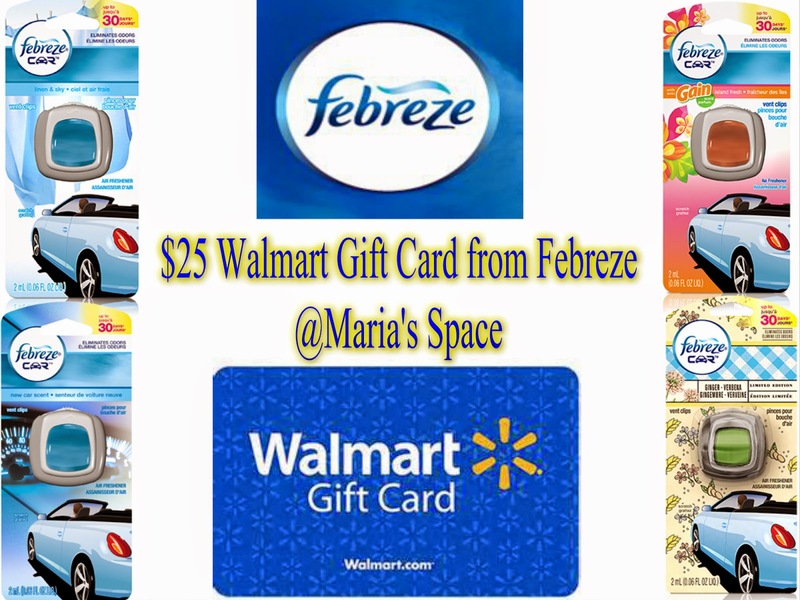 There are 16 scents to choose from and the hardest things will be choosing your favorite. We are big on new car scent (I have a 2000 car and haven't smelled new in a very long time) and linen and sky but Gain Island Fresh is soon becoming my new favorite. Sooooo good. 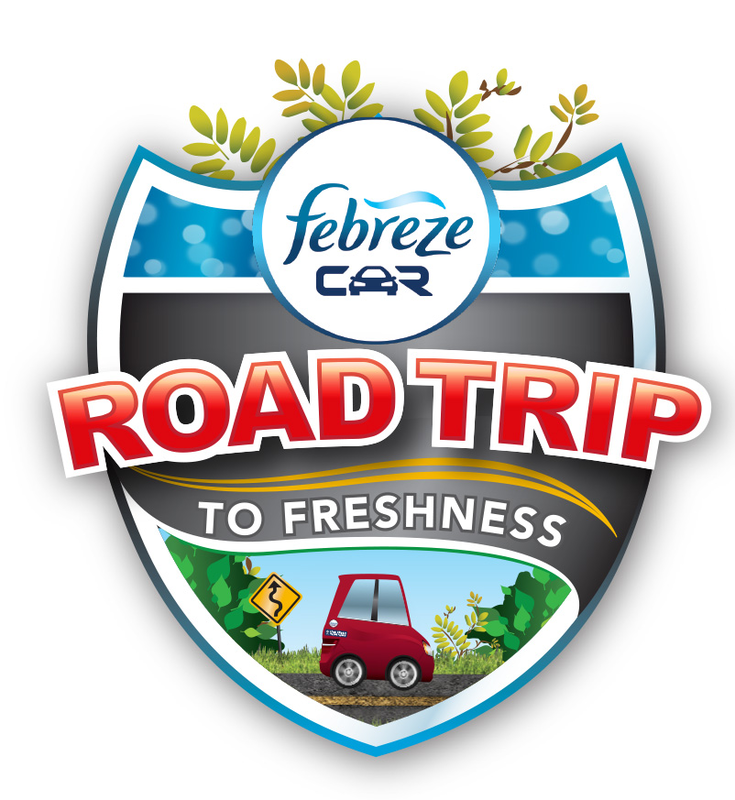 After this long winter we plan on spending more time in the car going from here to there and we will always have our trusty Febreze Car Clip. Oh and my kids ask that we have one in their vents in the backseat so they can ensure that we are not hogging up the smell all for ourselves. Thanks for taking care of my car, rugs, couch, linens and bathroom Febreze. Life wouldn't be the same without you. 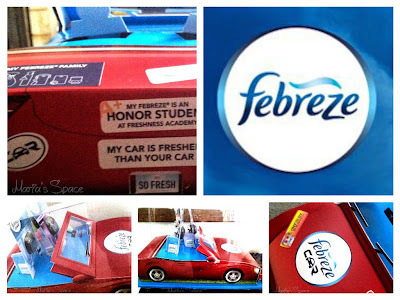 Find Febreze Vent Car Clips at your local Walmart. Currently Walmart is doing a two for one on these Car Clips! Grab a few now for the Summer where we all spend way more time in our car then the rest of the year. Disclaimer: This is a sponsored post for SheSpeaks/Febreze. Our cigarette smoke is the smelliest thing that assaults noses in our cars. The smelliest thing was a fart! After eating Taco bell on a road trip! We love road trips! We had wet towels from the pool in the trunk that we forgot about and when we went back to the car a couple of days later, the smell was horrifying. I put some rained-on books in the trunk of my car once, and by the time I remembered them the mildew smell was overwhelming! The worst smell that I have had in my car is my dog and my brother's dog, especially in the warmer weather. They pant and really smell! I need a Febreze clip on air freshener! I commented on Facebook and shared giveaway. Nobody has ever told me that my car smells, but if they did I would probably be mortified. Sometimes, if I take my dog someplace without giving him a bath he makes it stinky. Yes, we take a road trip every summer. We bought a used car whose previous owner was a heavy smoker. The car reeked of nasty smoke. We cleaned the inside, aired it out and put Fabreze Vent Clips in it and now it is nice smelling and comfortable. Formula and milk bottles being left, or having been unknowingly spilled in the car make for the worst smell when left in a hot car, ugh! Yes, we enjoy going on road trips with our kids. The smelliest thing in my car was my son's baseball cleats. We like to take short road trips. Someone once told me my car smelled like green beans! I didn't take that as a compliment. I would say cigarettes have smelled the worse but no one has ever told me my car has smelled. Sometimes I take road trips. The worse smell I have ever smelled in my car was when my son got the groceries outof my car and a package of chicken was left! Sickening! I take lots of road trips with my family. I take road trips with my family. We are a one car family. My husband drives our car to and from his job. He has a very stinky job that leaves lingering icky smells in the car! YUCK! The smelliest thing in my car has been several teenage boys after a fishing trip. My son tossed his sippy cup with milk in it somewhere under a seat. It was the worst smell ever. We take a road trip once or twice a year. I've never had anyone say my car smells bad. Wet dog is the worst smell I've had in my car. And it wasn't even from my dog! My kids always tell me my car smells like smoke. We quite often take road trips. So, it is important to me to keep the car fresh smelling. Nothing worse than musty car odor. i have never had a smelly car; my issue is dust and pollen because my husband likes to keep the car windows down a lot of the time and he never dusts or vacuums. Pets are definitely the smelliest thing in my car. After going to the park in the summer, the car can smell for days. I love to take road trips with my family! We take road trips at least once a year when we go visit family. I love taking road trips with the family. We enjoy heading to the mountains and Falls .....very beautiful. One of my kids and no one will admit to it left a half finished chocolate milkshake in between the backseat and the car and I didn't know about it. It took me awhile to figure out where the awful smell in my car was coming from. It was nasty no one wanted to ride in my car. I commented Nancy Loring My url will not post but i posted comment on 3/12 at 3:35 est. left over food is the smelliest. My husband is a machinist and he smells the car up terrible of grease and oil sometimes so strong its gagging. I have to have my Febreeze clip in the car all the time take the smell away. I gave someone from work a ride a few weeks ago and he asked how many dogs I have. Embarrassing! We occasionally take road trips in the summer. I've never been told my car smells and I'm really particular about keeping it clean. So honestly I haven't had a stinky smell in my car. One smell I can't stand is smoke. The worst odor was a half eaten hot dog and found later. We take occasional road trips - those are the most fun! Nope no one our car smelled. I like to take road trips with my husband. Leaving a tuna sandwich in my vehicle during the hot, summer months just about killed me with the smell. It took quite awhile to get the smell out of the car and during this time, no one wanted to ride in it. The smelliest thing I ever smelled in a car is stale smoke and beer. I don't really take road trips. The smelliest thing in a car has been a bottle under a seat with spoiled milk. Only one road trip Disneyland to Las Vegas and San Diego! A forgotten bag from camping is the worst smell in our car. It's usually our dog that causes smells in the car -- for various reasons! Hate the smelly scent of boys and uniforms in the summer. It wasn't in my car as w don't allow it, but my friends car smelled terrible from smoke. The worst smell is the dog when we go on long trips it's definitely noticeable. 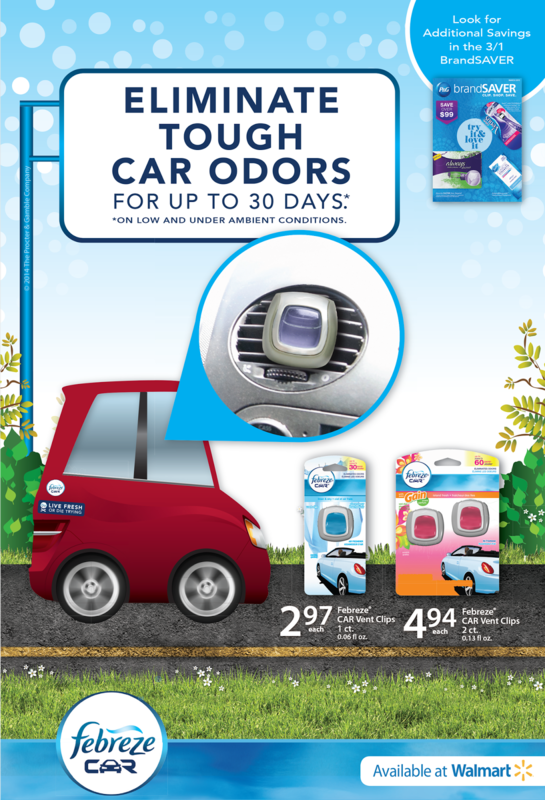 What is the smelliest thing that ever assaulted your nose in your car? Do you take road trips with your family? Did you ever have someone tell you that your car smelled? The worst smell that I have had in my car was from leaving dirty gym socks and clothes in my car in the sun for 2 days. smoke is probably the worst smell I have ever experienced in a car. We have taken one 4 hour road trip with our kids. Otherwise most of our road trips have been less than 3 hours. Thankfully no one has ever told me my car smelled! We love Road trips. Going To Myrtle Beach this summer. No we can't leave the homestead long enough for trips but I did as a child. We do take road trips. My car is pretty clean unless the people are smelly! the worst is cigarette smoke from others driving in my car. My husband is a fisherman and has left stinky things behind in our van several times. We bought a used car from a man that was a heavy smoker. The car reeked of cigarette smoke. I cleaned it, aired it out and put Fabreze Vent Clips in it and now it smells nice. The heaviest smell we had was once we forgot some sweaty gym clothes. I've never had anyone else tell me my car was smelly. Yes we do car trips, we did one across the country from NC to CA and back.